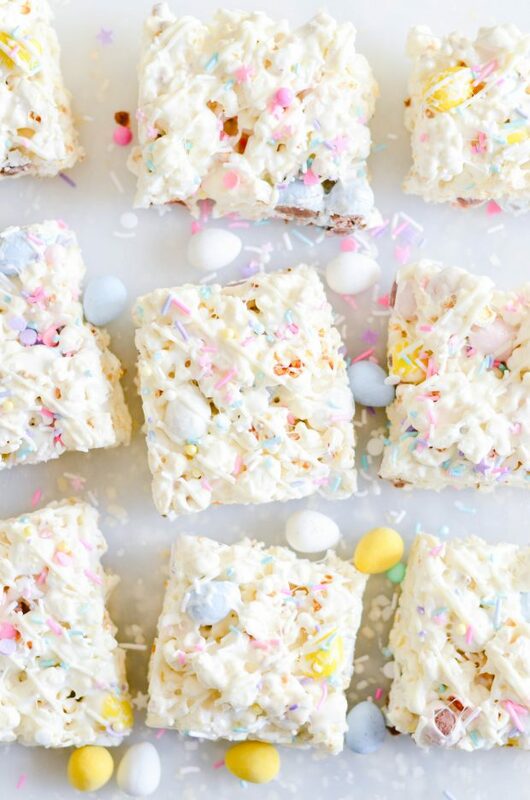 Sticky, sweet, gooey, and easy to make popcorn bars made with marshmallows, kettle corn, and mini Cadbury eggs. I love popcorn. You know this. But did you remember how much I LOVE kettle corn?? Homemade, store-bought– I’m not picky. 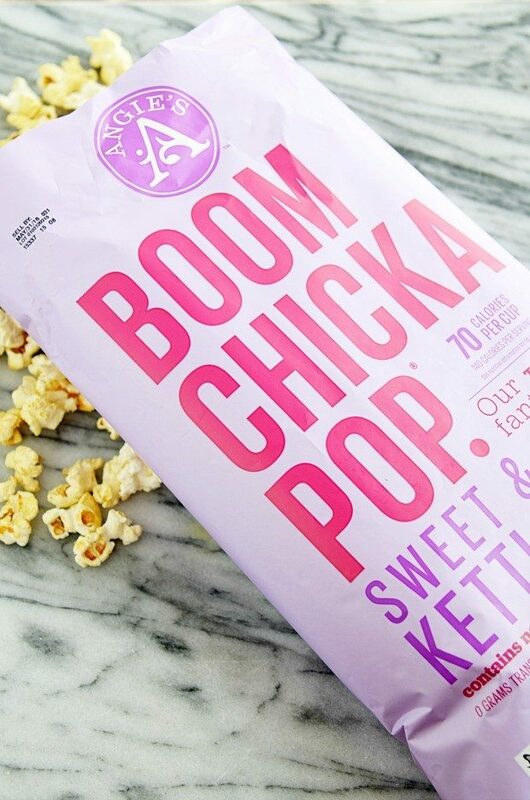 Just gimme a handful of that crunchy, buttery, sweet, completely addictive kettle corn and I’m a happy girl. 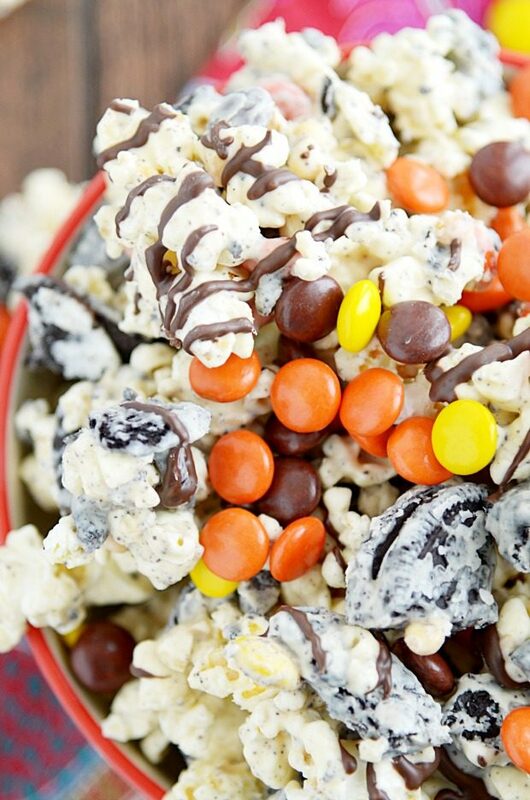 I especially love using kettle corn in my fancied-up popcorn dessert recipes. I wish I had discovered this little trick before I wrote a cookbook all about popcorn. But live and learn, I guess ????????. It tastes GOOD. Self explanatory, but still important. 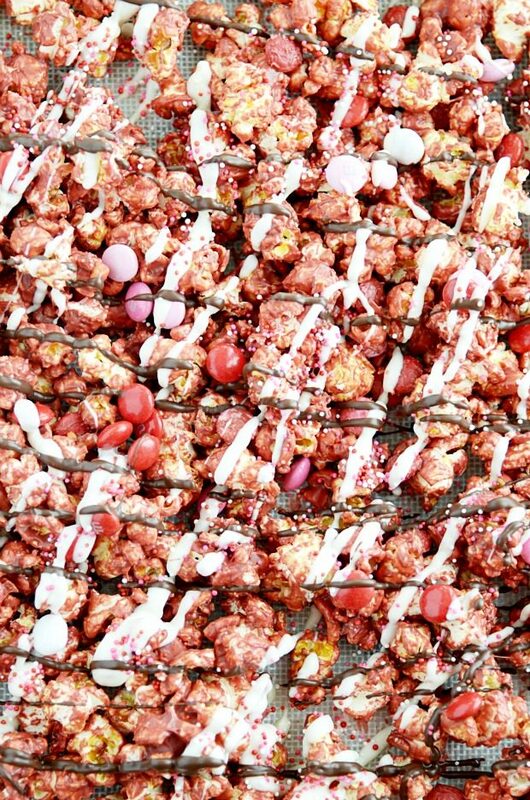 The sugary outside coating on kettle corn protects the popcorn from moisture. 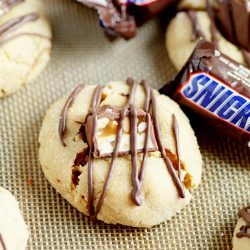 So when you pour chocolate or caramel or even peanut butter and jelly on it, the popcorn doesn’t get moist and wither-y (ew). It creates an AWESOME crunchy texture. And you know me, I’m all about the textural experience when I’m eating. I always use this Boom Chicka Pop in all of my recipes. It is 100% fabulous. Highly recommend. I usually buy it at Target. I’ve made all sort of yummy popcorn concoctions using this BCP kettle corn. Like this Red Velvet Tuxedo Popcorn. And this Ultimate Peanut Butter Popcorn! Today, I’m shaking things up a little and making popcorn BARS. 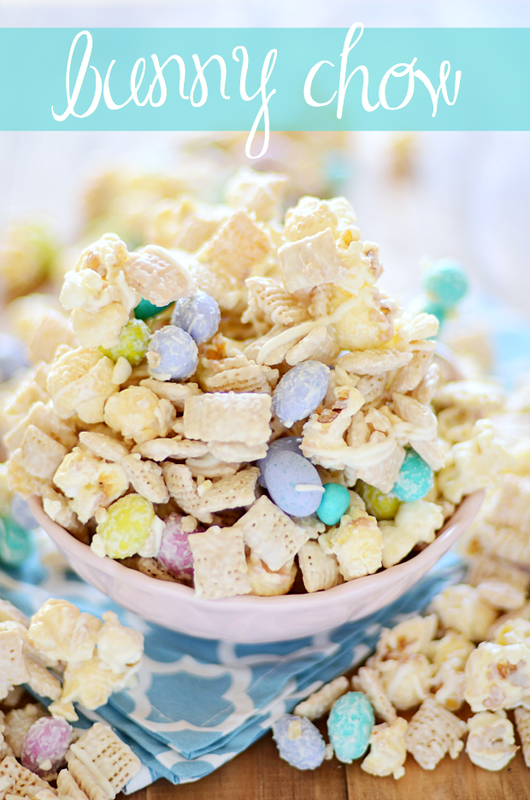 It’s basically Rice Krispie Treats. But I’m using kettle corn instead of cereal. Oh, and I’m tossing a whole bunch of mini Cadbury eggs in there too. Because… mini Cadbury eggs. Duh. 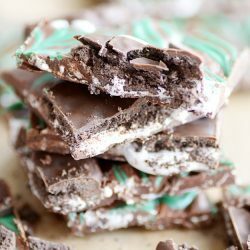 You can find the recipe for these bars over on my other blog, Keat’s Eats (<– click right there). And it’s fun to bring my brother into my world. He’s a born food blogger. You MUST check out his Oven Fried Chicken. Out of this world! Hope to see you over there soon! And be sure to follow us on Facebook, Instagram, and Pinterest too. These would be a super cute treat for my daughter’s Kindergarten class to share. I think I would need to double or triple the recipe though! Thanks! These are so pretty and festive, Emily! 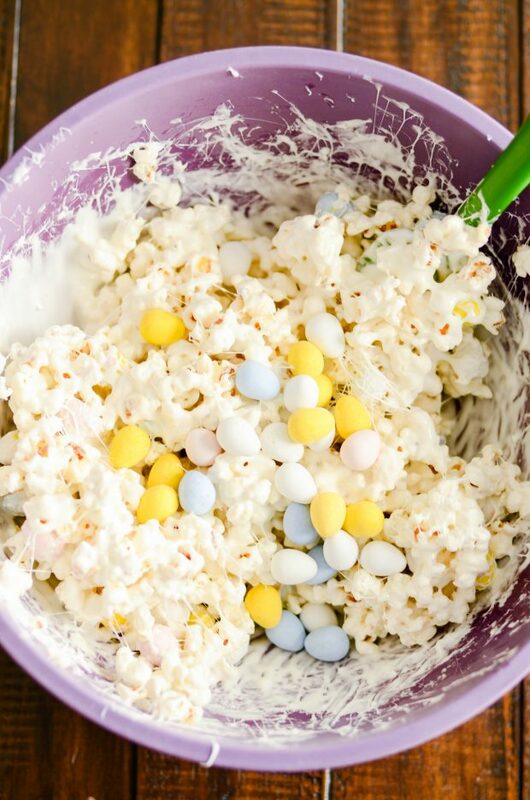 I love that you used popcorn for these no-bake treats and the mini eggs are the perfect addition! 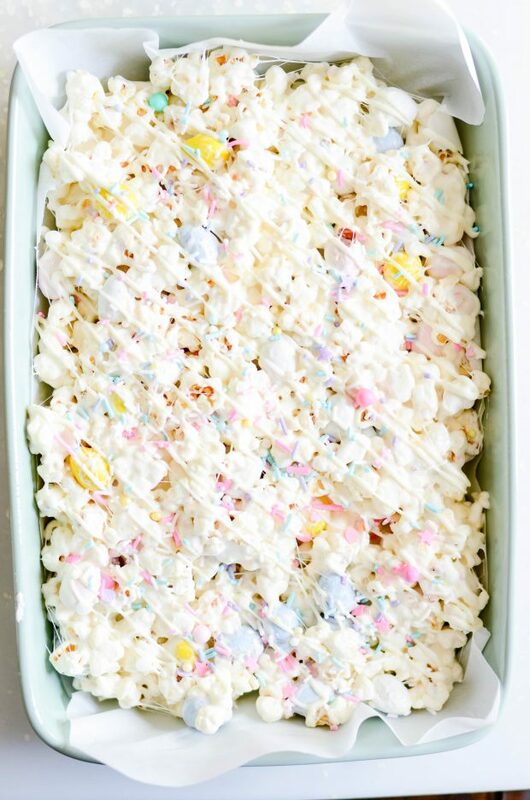 This is so pretty, and I love that you added the mini eggs!